Household Appliances Can Cause Water Damage Too! We have established a step-by-step approach that allows us to ensure the restoration process goes smoothly and addresses every issue. Living in an area that experiences frequent heavy rainstorms can lead to extensive damage to your home. Prolonged exposure to rain and heavy winds can harm your home in many ways. While there are preventative measures that can help extend the life of your home in a rainy climate, the truth is that frequent rainstorms will wear down even the toughest defenses over time. If your home has recently experienced water damage from weather elements such as flash flooding and other storms, Farrer Construction can help restore your home to its original condition. Farrer Construction in Murfreesboro knows how to handle water damage restoration projects. We employ only highly trained restoration professionals that know just how to inspect, analyze, restore, and protect your home after water damage. We work in a timely manner to not just repair the source of the damage, but to restore your home back to its former glory. Living in a rainy climate means there is an increased chance of water and flooding damage affecting your home. Farrer Construction is well versed in techniques and methods of protecting your home to prevent future incidents as well.  No matter if your water damage was caused by a weather element or an appliance malfunction, the Farrer Construction restoration team is ready to help. Call our office today to get started on the restoration process for your home.